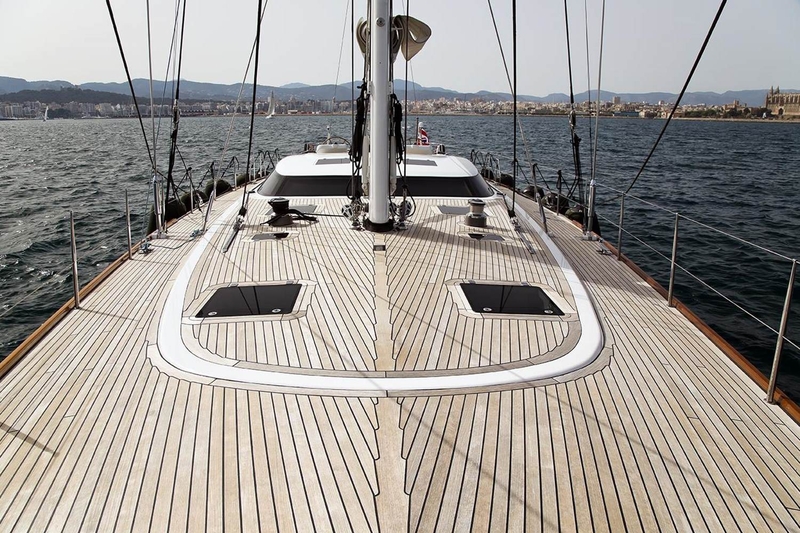 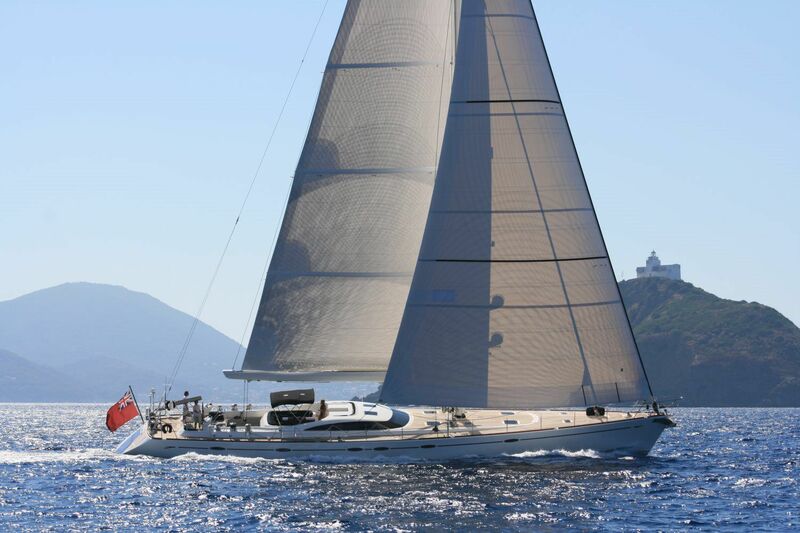 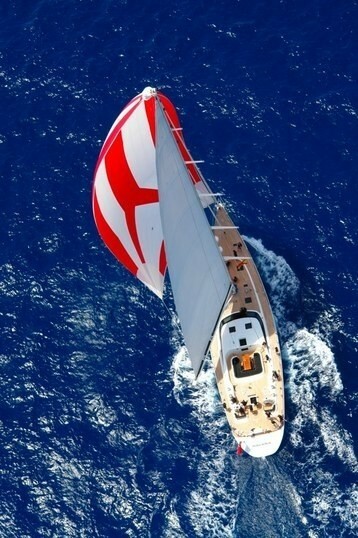 Mediterranean luxury sailing charter yacht HAVANA OF LONDON is often admired with her truly graceful and elegant lines. 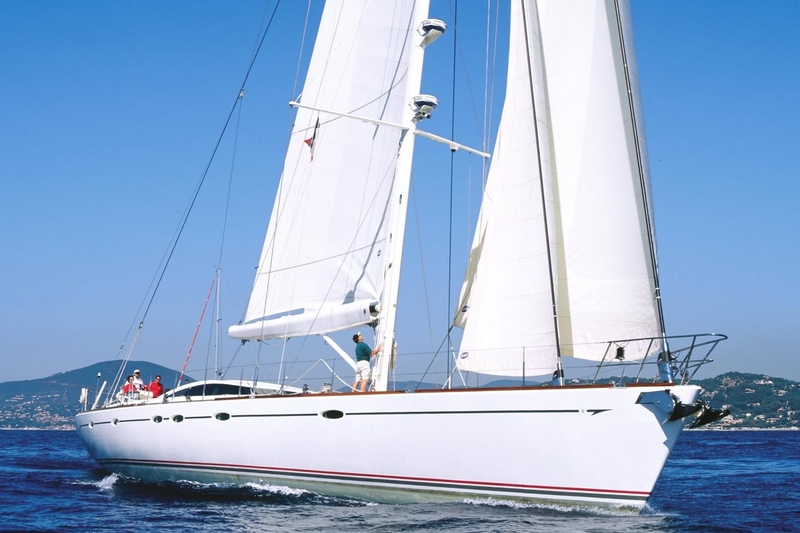 That’s Y was designed by Bill Dixon, of Dixon Yachts, and built in 2000 by the Vitters yard in Holland. 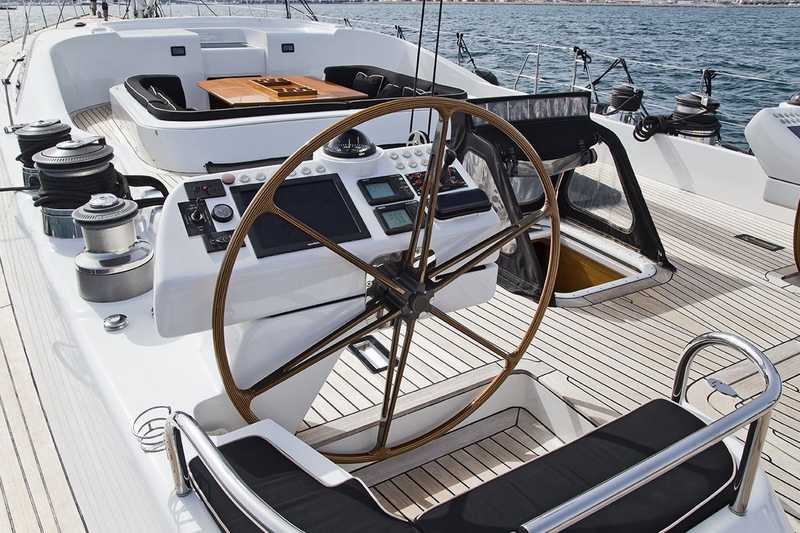 She has the appearance of a yachtsman’s yacht and accordingly this translates into powerful and balanced sailing performance. 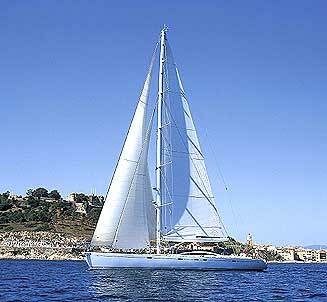 Her rig is configured in the cutter format, giving her fantastic versatility to carry different sails for light or heavy conditions. 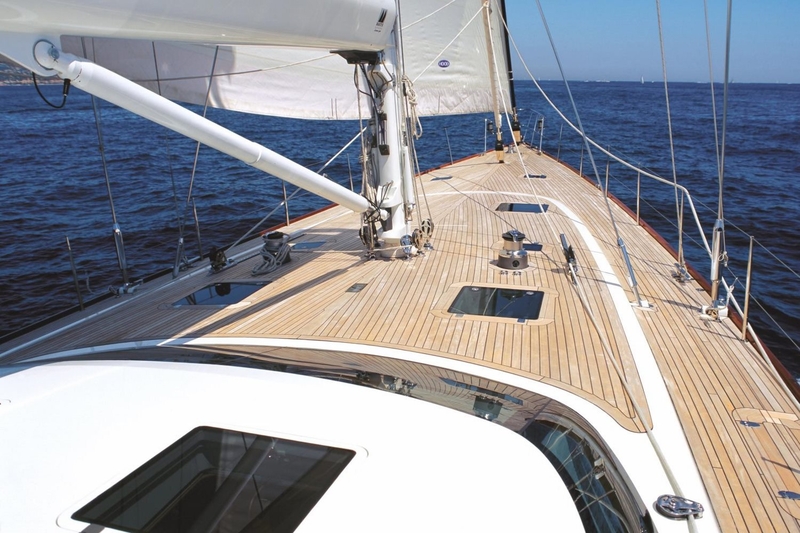 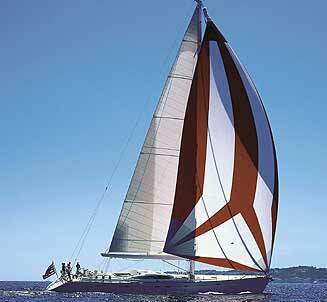 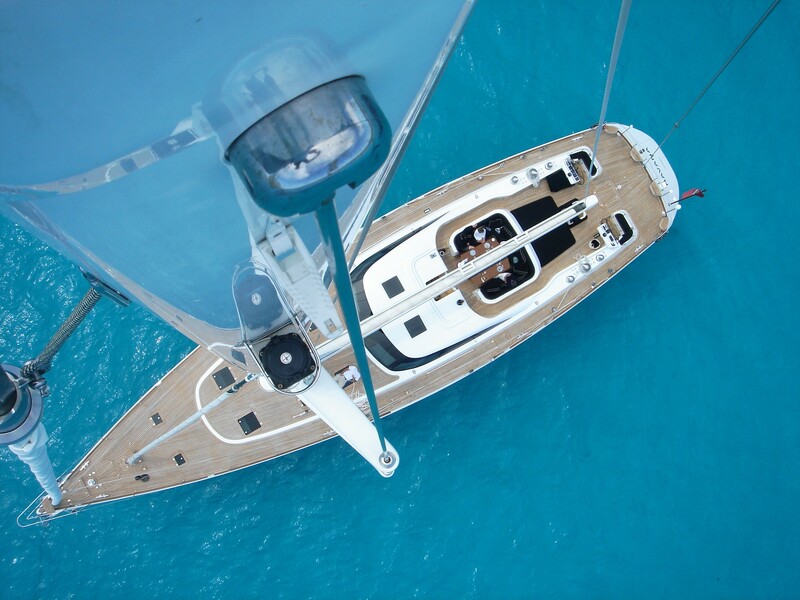 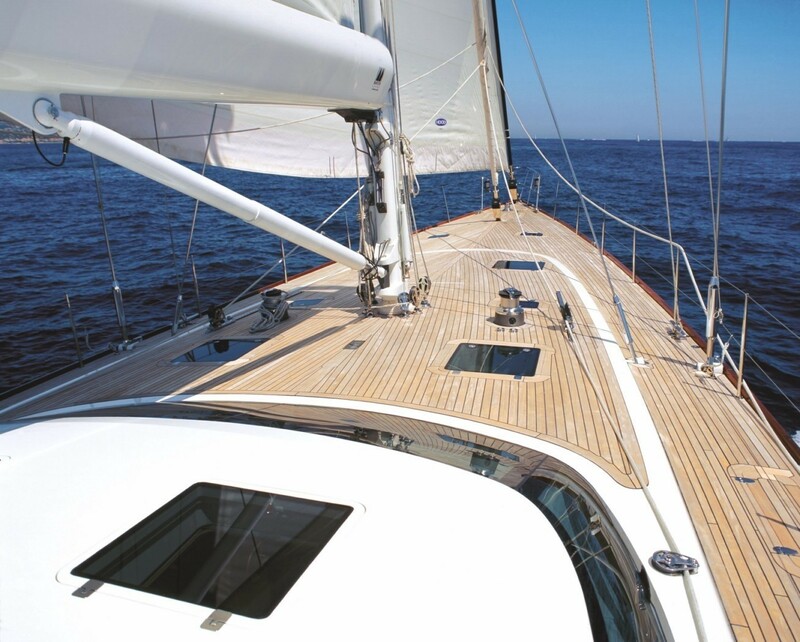 She features a dagger-board keel which can retract to get in close to the best anchorages, harbors and bays. 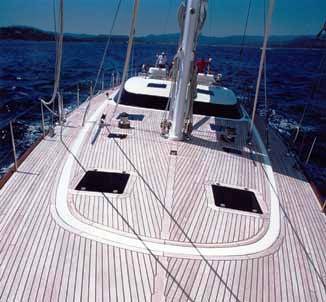 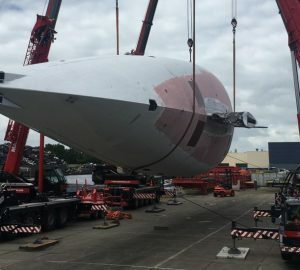 When the board is fully extended down it increases her draft from 3,20 to 5,20 meters, and her sailing performance from great to exceptional. 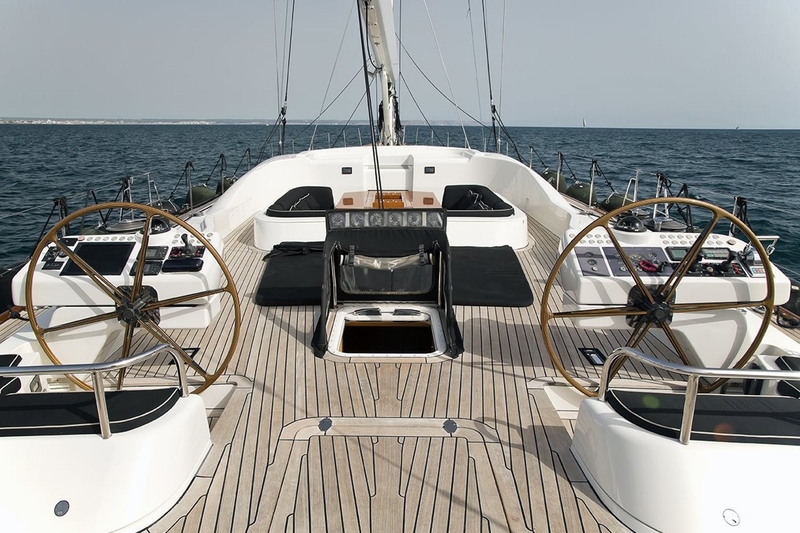 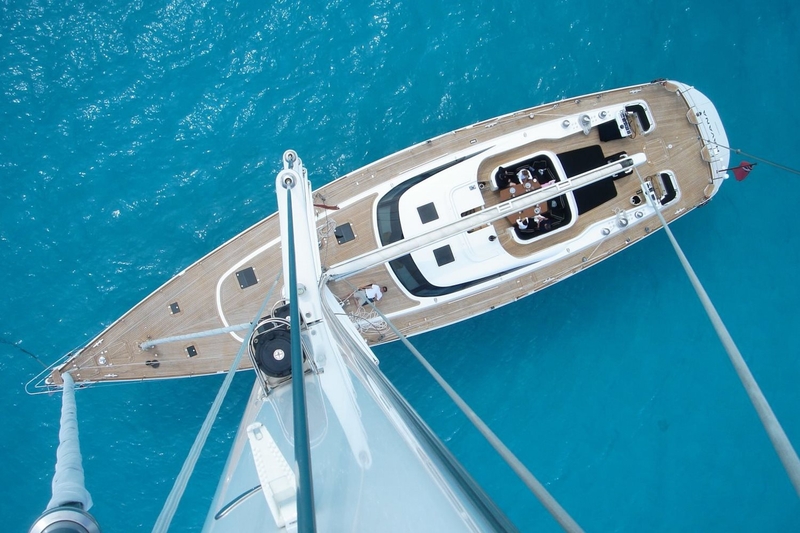 Come and join sailing yacht HAVANA OF LONDON (ex That’s Y) and experience helming her at impressive speeds in even very light summer breeze, flying a 500sq.m MPS. 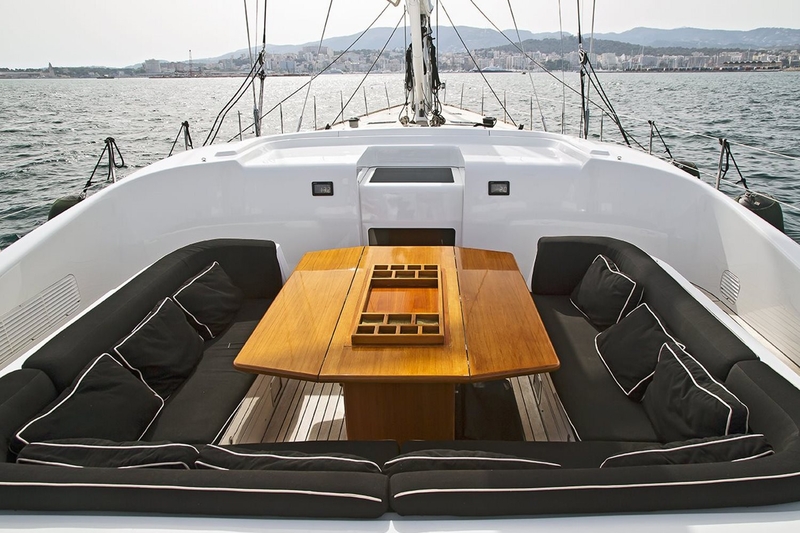 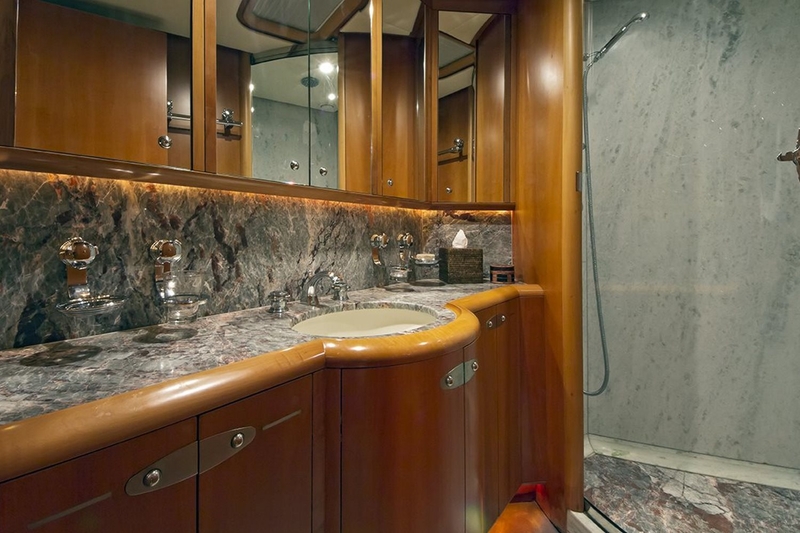 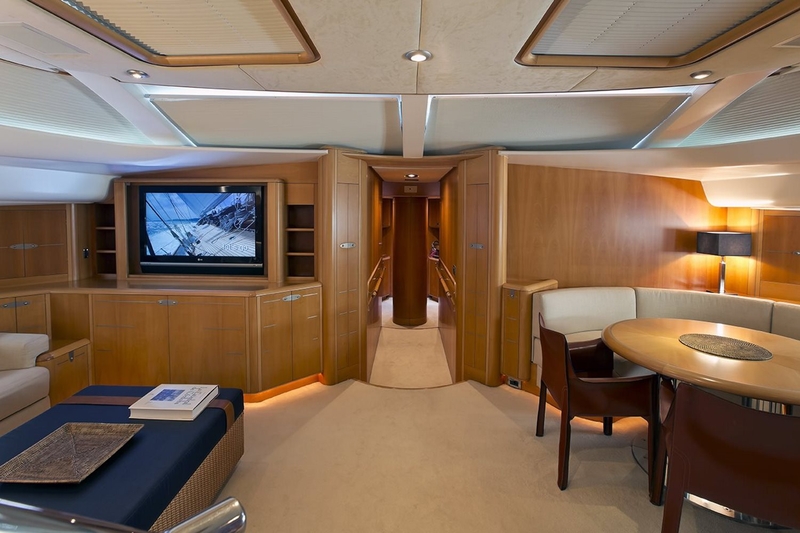 While the yacht is primarily designed as a formidable sailing performer, there has been no compromise when it comes to her interior design, craftsmanship, spaciousness and layout. 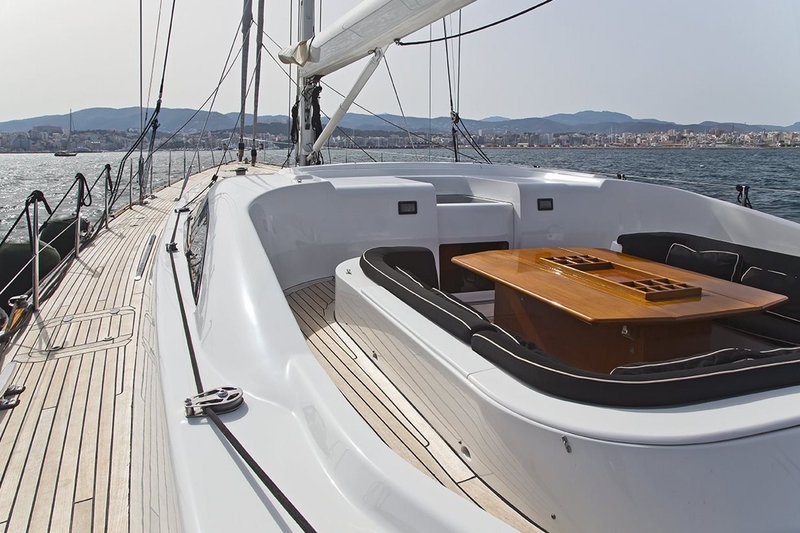 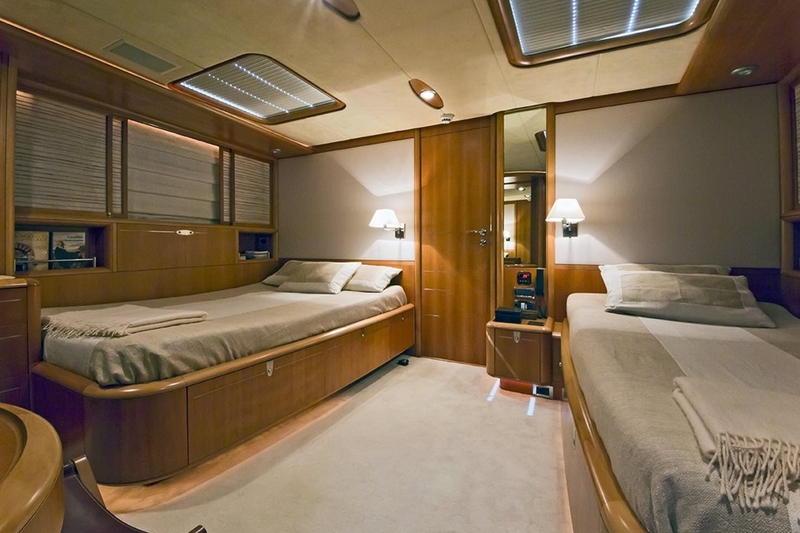 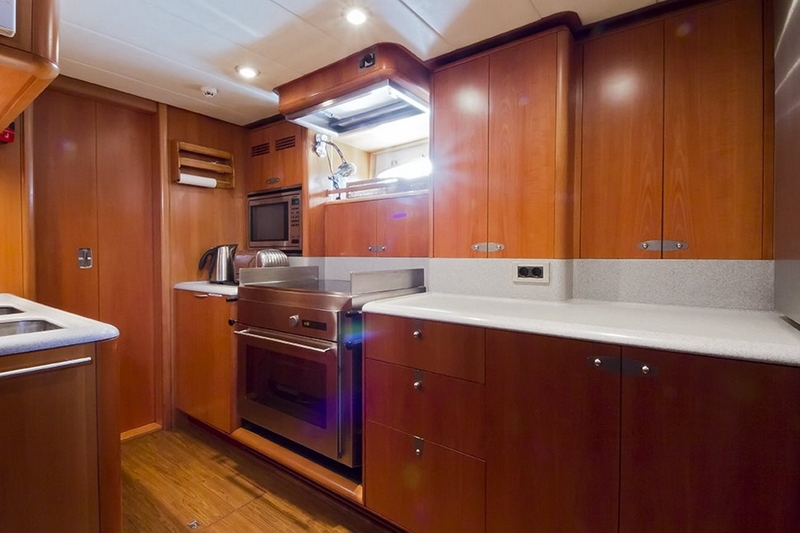 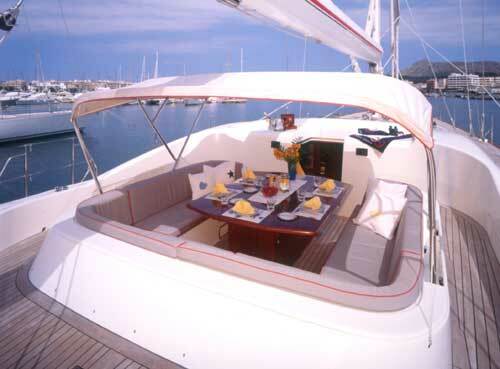 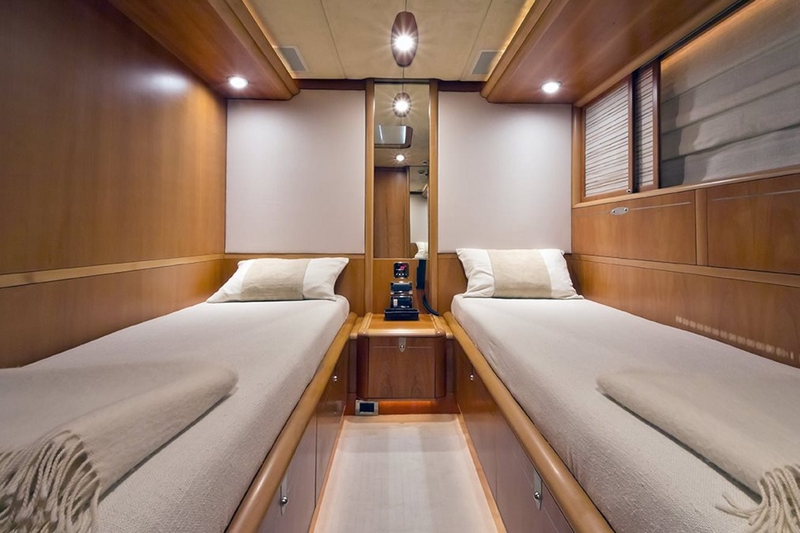 Both practicality and luxury has been achieved so you can sail in comfort and style. 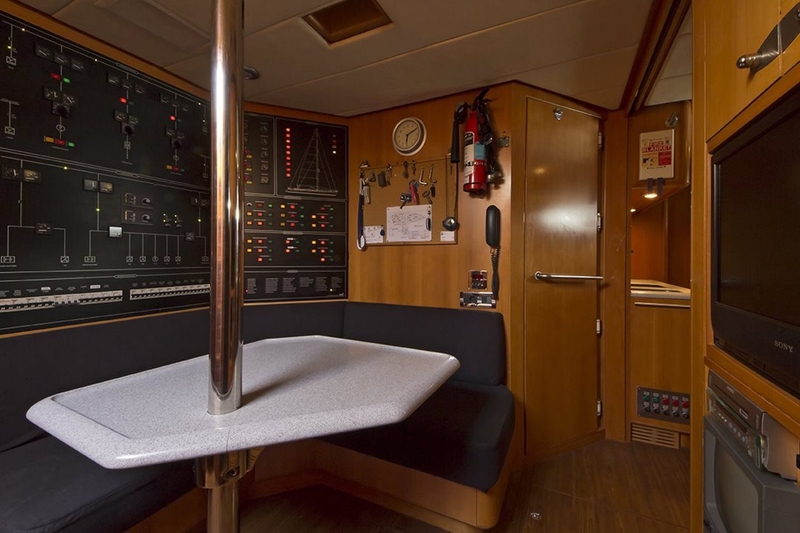 For instance, a subtle art deco feeling has been furthered with the use of fine metal inlays and cover plates, as well as the sliding Japanese screens in front of her portholes. 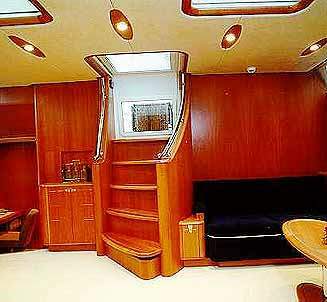 The interior woodwork has been handcrafted in lovely warm glowing pear-wood. 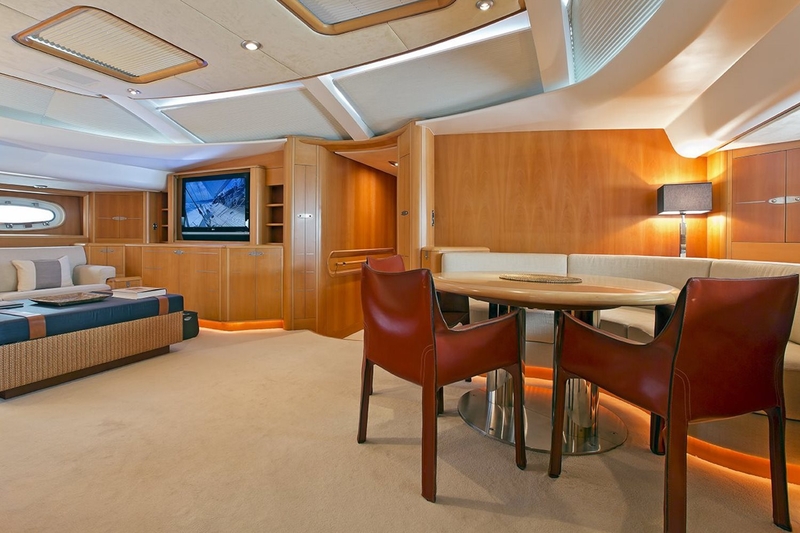 Luxury also means modernity, technology and innovation. 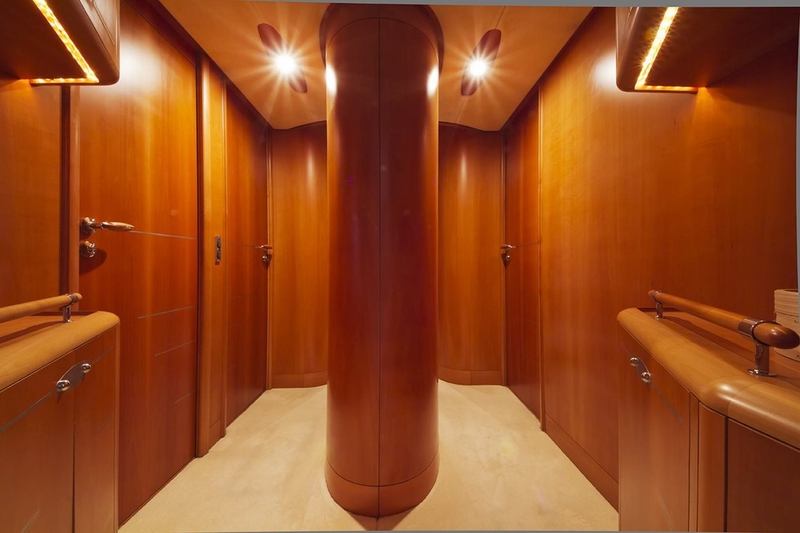 That’s Y’s salon also exudes state of the art audio and video entertainment equipment, which although conveniently positioned for ease of use, has been carefully hidden behind the furniture pieces. 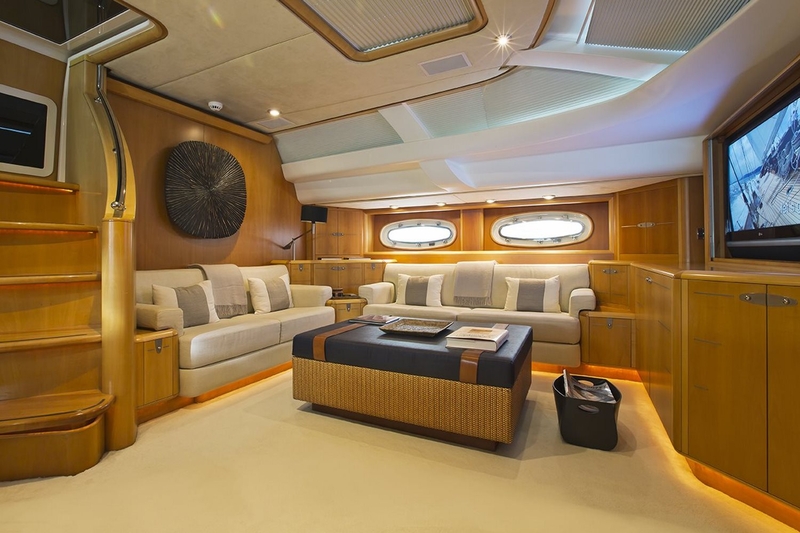 At your wish and whim, one moment the salon can be used to watch movies on a big-screen cinema, and the next it can be is a thoughtfully designed restful dinning/bar area of comfort and style. 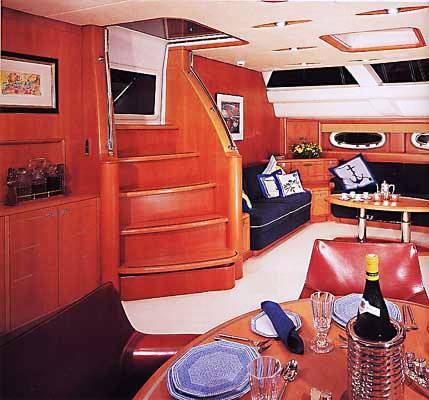 On deck, her cockpit area is cleverly protected from the elements with a full folding sun awning while underneath charter guests are well hosted on a large middle dining table with comfortable settees. 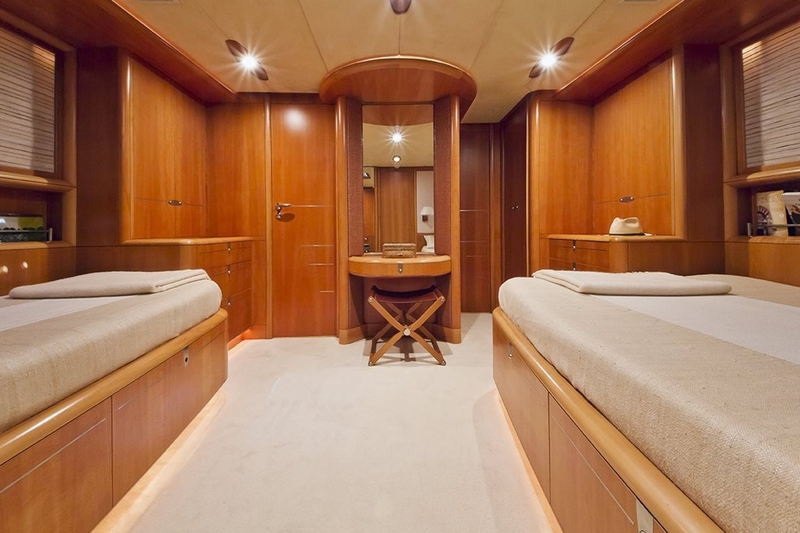 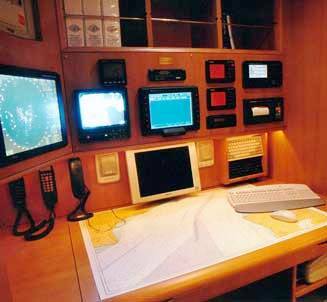 Yacht HAVANA OF LONDON has a hydraulic swimming platform which also hides the aft garage door where the yacht’s tender is stored. 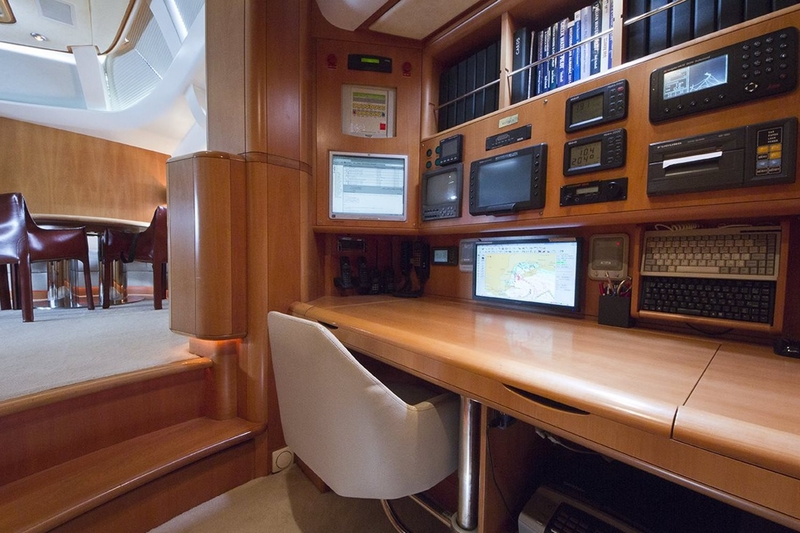 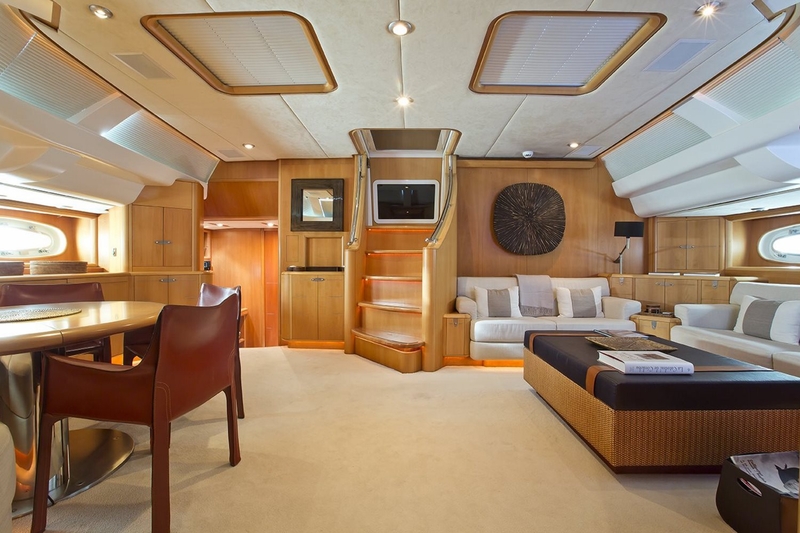 Overall this sailing yacht shows off clean and simple lines within her spacious interior which is perfectly compliment by her sleek and modern exterior. 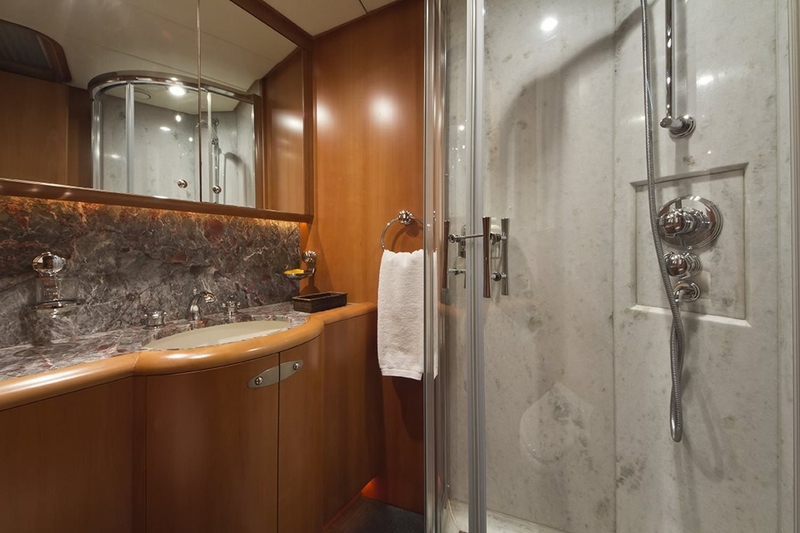 Luxury sailiny yacht HAVANA OF LONDON offers superb accommodation for six charter guests into three (all fully en-suited) spacious cabins. 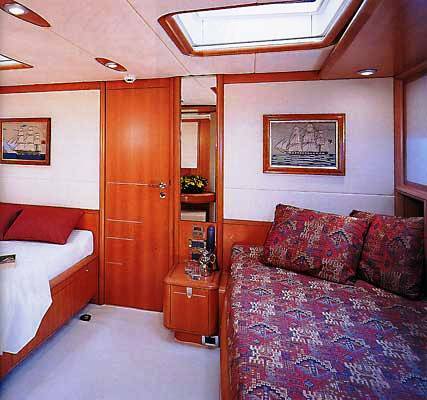 Her Owner´s cabin holds both a one double bed as well as a single bed, while both of the guest cabins provide twin beds. 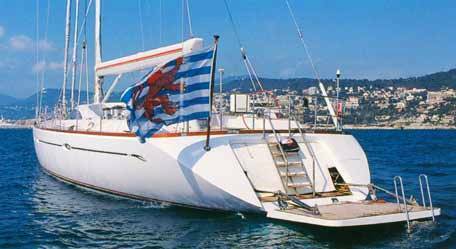 Mediterranean Luxury sailiny yacht HAVANA OF LONDON provides the following amenoties and extras for your yacht charter vacation: Mini M sat com, Tender: Zodiac Project (4.2 RIB with 95hp water jet drive), ski and diving equipment, and Air Conditioning.